Showing recent results 1531 - 1545 of 4364 products found. 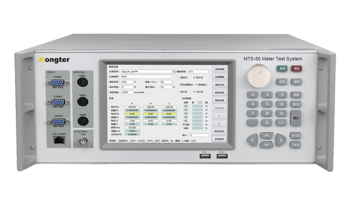 Model: 4061 Frequency range: 1.5MHz to 250MHz in 6 bands. Band: A Rang: 1.5 MHz to 4MHz. Color Code: Red. Band: B Rang: 3.3 MHz to 8MHz. Color Code: Orange. Band: C Rang: 6.8 MHz to 18MHz. Color Code: Yellow. Band: D Rang: 18 MHz to 45MHz. Color Code: Green. Band: E Rang: 45 MHz to 110MHz. Color Code: Blue. Band: F Rang: 100 MHz to 250MHz. Color Code: Violet. Modulation: 2KHz approx. sine wave. Power supply: 9V battery or 9 ~ 12VAC adaptor. Current consumption: 2mA. Dimensions & weight 175 (W) x 65 (H) x 152 (D) mm. Approx. 650g. Avoid catastrophes by monitoring machinery vibrations and know what needs maintenance ahead of time. 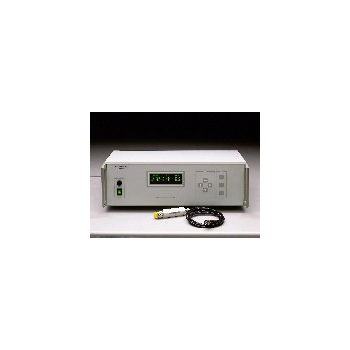 DHM1100 - ZOGLAB Microsystem Co., Ltd.
TH2822 - Tonghui Electronic Co., Ltd.
With its convenience of handheld measurement, TH2822 can perform the measurement of basic LCR parameters easier and faster and simultaneously meet the requirements of fast and convenient measurements in many occasions such as field maintenance test, external carrying test, fixation point on production line or mobile checkout, warehouse in-and-out checkout of electronic components, real-time spot or batch inspection and especially in field measurements. 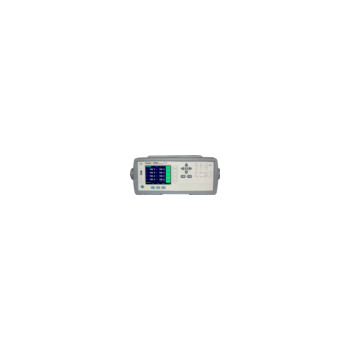 This is a fixed frequency instrument for applications where the same IF is used regularly. The bandwidth can be set at our factory according to customer specification. Typical applications are monitoring of RF- performance in E/S and Cell-sites and maintenance of radars and other RF- equipment with fixed IF. 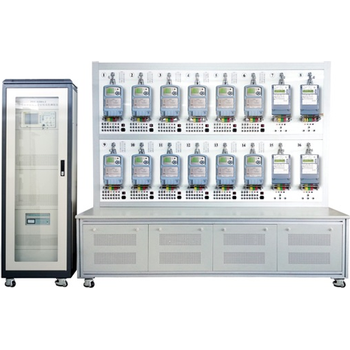 BMS-3923 series battery monitoring system is an innovative solution to solve these problems. We apply new methods to measure battery condition with communication way of power line carrier (PLC). 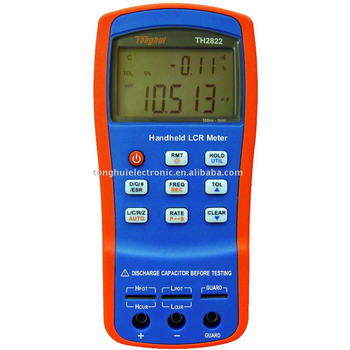 With multi-frequency measurement, users can analyze battery in all aspects including internal resistance, voltage, current, capacitance, temperature and so on. Based on Kongter’s years experience for battery management, we build very mature mathematical model that will precisely predict battery capacity. This will in another hand reduce the time that we spend on capacity measurement using a battery load bank. With APP or Web page access based on Cloud server, you could easily manage your batteries simply with a smart phone remotely. Periodically you will receive very detailed diagnostic report from Kongter indicating comprehensive data of your battery with suggestions and solutions in case of weak batteries. K-3986 is not only a battery charger or load unit for battery String. 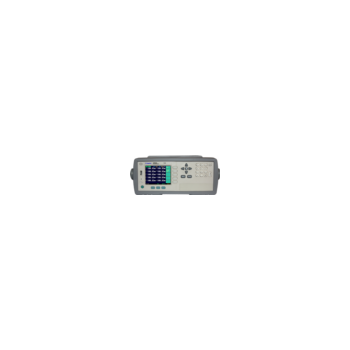 It is comprehensive unit with one-stop-solution for battery maintenance. With charging and discharging for the same battery string, it will greatly simplify your maintenance for batteries. Extra functions like wireless online monitoring and battery activation will enable you to know your batteries comprehensively. With optional DAC, you could also have a real time monitor for the whole process of measurement. For charge and discharge of single cell, we also have BCD-3932T Battery Charger/Discharger. 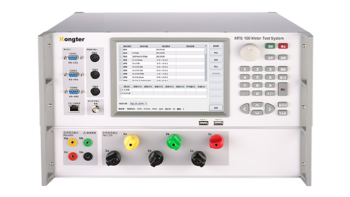 66203/66204 - Chroma Systems Solutions, Inc.
Can scan and test 10 channels of resistance and can set a comparator for each channel. 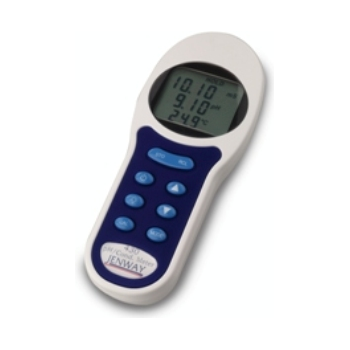 Its temperature compensation function can adapt different testing requirements. It can be applied to automation equipment. 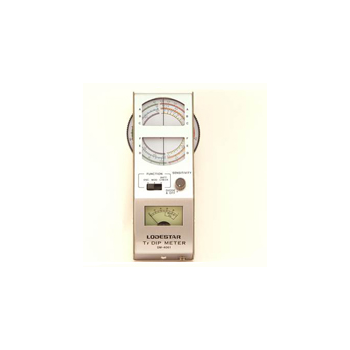 This high-precision “5 in 1” Digital Multitester is designed to combine the environmental functions, like sound level measurement, light intensity, humidity and temperature measurement with the functions of a multimeter.